ABBOTSFORD, BC – Field House Brewing has announced the release of a new limited edition sour ale. West Coast Riesling grapes are smashed into a tart Farmhouse and aged on wild yeast with traditionally used Elderflower and Sweet Woodruff yielding an eccentric slant on the time-rooted German Mai Wine. Disheveled but dignified, this beer/wine hybrid handles candlelit dinner or fireside revelry, simply. 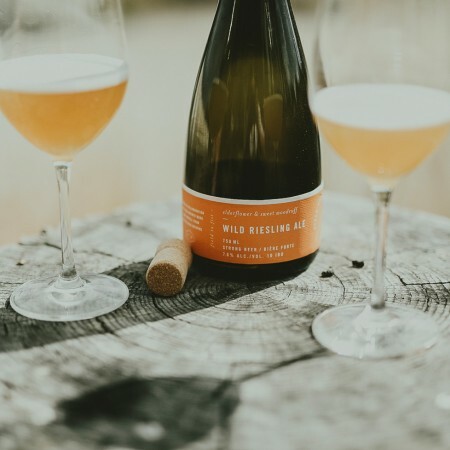 Wild Riesling Ale is available is available in 750 ml bottles at the Field House brewery store and select private liquor stores in British Columbia.